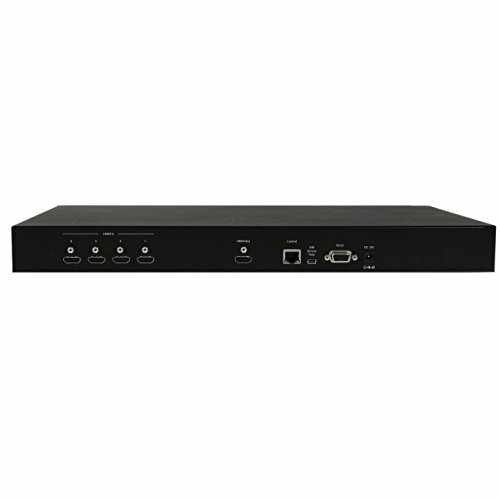 Share an HDMI display between four distinct HDMI audio/video sources, with optional Picture-and-Picture - The VS421HDPIP 4-Port HDMI Video Switch with Picture-and-Picture (PAP) lets you connect four HDMI video sources to a single HDMI display with the added benefit of playing all four video sources on your display simultaneously with combined video. 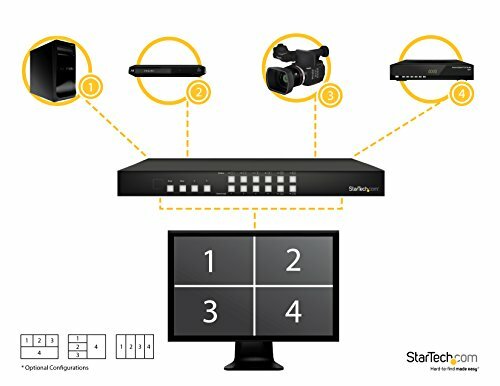 See the Whole Picture The split-screen multiplexing switch gives you the flexibility of a 4-port video switch with the added benefit of combining two, three or four video sources onto your output display. The switch supports three different picture-and-picture modes per display: Matrix Mode (1x1) / Dual Mode (2x1) / Quad Mode (4x1) .Control Your Output Fitting your boardroom or digital signage application with a VS421HDPIP dramatically increases your communication possibilities. 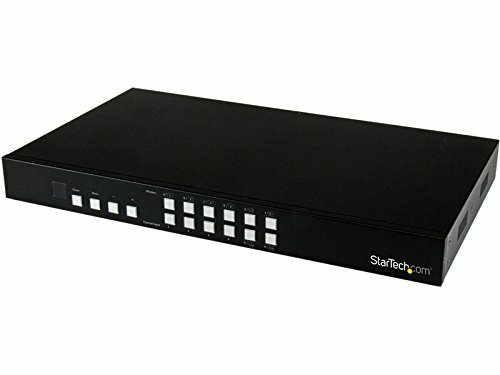 Not only does the picture-and-picture switch increase your communication by a factor of four, but it also enables you to adjust your video sources remotely using RS232 serial, your local TCP/IP network, or the included IR remote control. 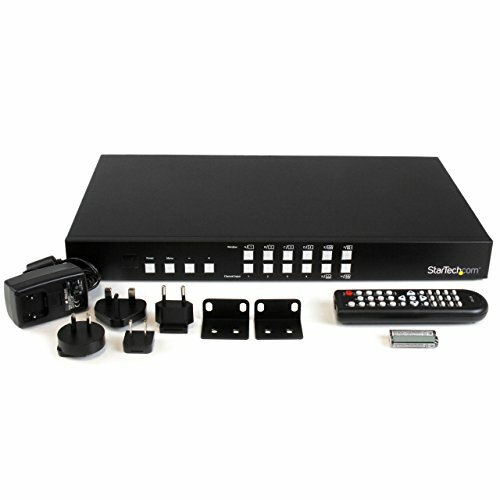 Increase the Versatility of Your Display The VS421HDPIP is a flexible video switch that can improve any video display application. The picture-and-picture technology enables you to share up to four distinct images on the same screen, reducing required video real estate and saving you from wasting money on additional displays in a digital signage applications. 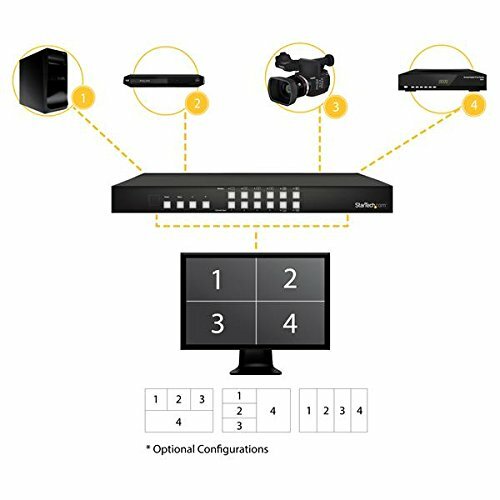 For security monitoring you can combine four video sources across a single display to view everything more efficiently -- you can even zoom into a single feed for a closer look. 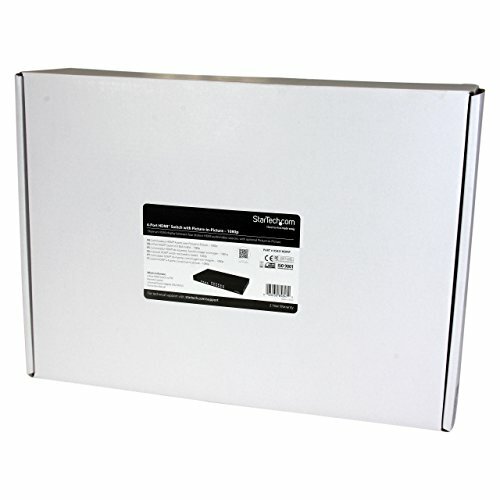 For versatile installation options mounting hardware is also included ensuring a tidy professional installation. 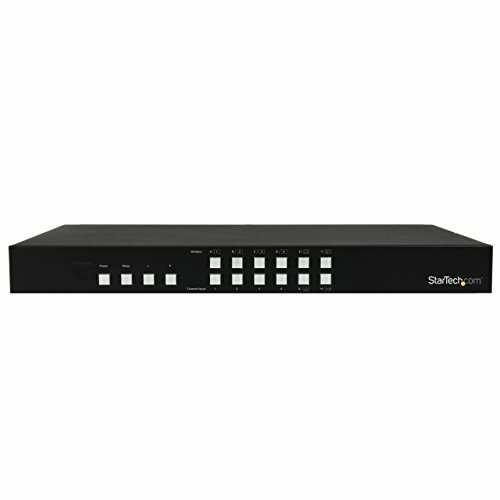 The VS421HDPIP is backed by a StarTech.com 2-year warranty, and free lifetime technical support.